Whether you’re looking for a calm place to paddle or a canoeing or kayaking location that provides a little more excitement, you’ll find both in and near the Olympic National Park. Adventures Through Kayaking offers whitewater, kayak and mountain biking excursions; boat and paddleboard rentals. Small groups and personalized service. Located close to great scuba diving waters, rent a motel room or a private cabin. Scuba gear rentals, boat and kayak rentals and expert advise. Located in Pleasant Harbor, Kayak Brinnon offers tours of Dosewallips Estuary and Hood Canal. Crab pots available with some kayak rental packages. Get off the beaten path and explore the Hoh Rainforest with Rainforest Paddlers. Rafting and kayak trips down the Hoh River. Bike and boat rentals, too. Tours, rentals and lessons. Sound Bikes and Kayaks has been providing customers with high quality bike and kayak gear and tours for over 10 years. Stocked with the most current selection of outdoor gear, equipment and accessories, this outfitter has everything you need for your outdoor adventures. If you kayaked in Puget Sound waters, you may have seen whales off in the distance. If not, our tour boat gets up-close and personal to them. See our tours & rates. Where should I go canoeing or kayaking in Olympic National Park? This 8.5-mile long stunning crystal clear lake is the ideal place for canoeing and kayaking. Bring your own or rent one at the lake at an area near the Lake Crescent Lodge. Rentals there are quite affordable – less than $10 an hour and about $40 for a full day. Location: Lake Crescent is located about 18 miles west of Port Angeles just off Highway 101. To get to the boat rental area, turn at the sign for Lake Crescent Lodge. Seasons: Simply because of the temperature and winds, Olympic Peninsula kayaking and canoeing at Crescent is best enjoyed from about May through early October. Marina/Boat Launch: The lake has several boat ramps located along its shores. You can put in just about anywhere that’s not private land. Beautiful 8-mile long Lake Ozette, not far from the Pacific Coast, is an ideal spot for an Olympic Park kayak trip. Compared to Crescent and other more accessible lakes, this one provides a tranquil paddling experience as there are rarely crowds. Location: Take Highway 101 West from Port Angeles to Washington Route 112, about 40 miles. Turn left on Charley Creek Road, which becomes an unpaved, unnamed road. Follow it to the lake. Seasons: Waters are high in the late spring though nights can be cold. Summer is ideal and fall is dry and colorful. Beware, however, of frequent fog. You may want to check weather conditions before you go. Marina/Boat Launch: Launch sites are mostly on the north side of the lake. The one adjacent to the campground is the most accessible and provides the easiest access to parking. The longest saltwater sand spit on the continent, Dungeness Spit extends 5 miles out into the Strait of Juan de Fuca. Paddling in the protected Dungeness Spit bay area in the east gives you a smooth ride while the waters towards the west are rougher. Nevertheless, you’ll be rewarded with great scenery and – with a permit – you can land at the New Dungeness Lighthouse and take some photos. 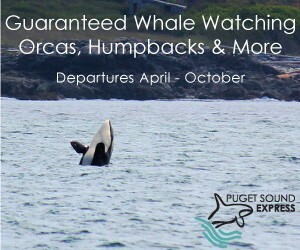 Also expect some great wildlife viewing, including sea lions, bald eagles, and whales. Location: From Port Angeles, take Highway 101 East for about 15 miles and follow the signs for the Dungeness Recreation Area. Seasons: Weather and the tides determine exactly when you can paddle the Dungeness Spit but late spring to early fall is ideal. Marina/Boat Launch: There are two put-ins located just east of the campground. Both have parking areas. The Dungeness Landing put-in tends to put you in milder waters away from the sea lions while the Cline Spit put-in can place you in the midst of some tough-to-paddle current. Choose according to your skill level. Looking for some Port Angeles kayaking? A lot of kayakers and kayak outfitters turn to the waters of Freshwater Bay, just west of Port Angeles, for some excellent opportunities. These trips give you the chance to explore the coastline of the Strait of Juan de Fuca and to view an abundance of wildlife and seabirds. This trip is suitable for most but check the wind and swells before you go. Location: Travel Highway 101 just west of the city of Port Angeles and look for the signs for Freshwater Bay. Marina/Boat Launch: There’s a free boat ramp at Freshwater Bay County Park. 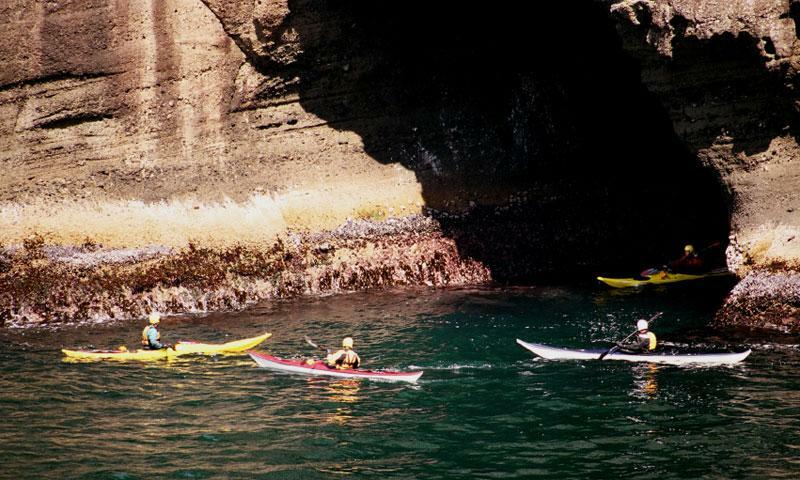 Head to where the Strait of Juan de Fuca meets the Pacific Ocean at Neah Bay and you’ll find some of the best and most challenging sea kayaking available on the West Coast. Best for advanced kayakers – especially the stretch from Neah Bay to Cape Flattery, a paddle trip here during the right time of the year – namely October and November – will put in the same waters as the magnificent gray whales. What a sight! Directions: Take Highway 101 west to Washington Highway 112 to Neah Bay.